What is a Schumer Box? 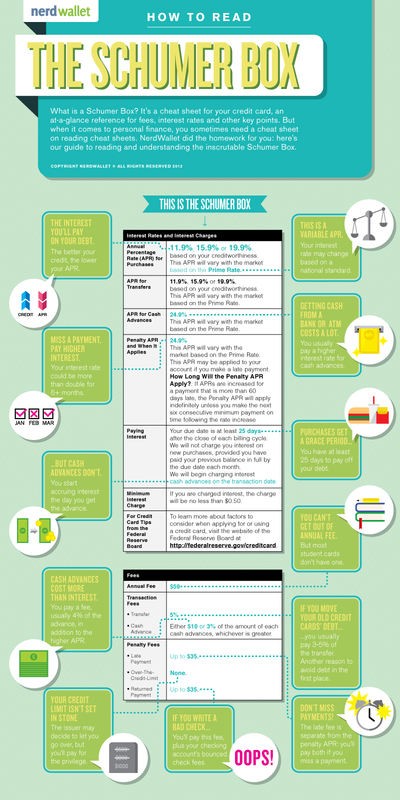 It’s a cheat sheet for your credit card, an at-a-glance reference for fees, interest rates and other key points. But when it comes to personal finance, you sometimes need a cheat sheet on reading cheat sheets. NerdWallet did the homework for you: here’s our guide to reading and understanding the inscrutable Schumer Box.